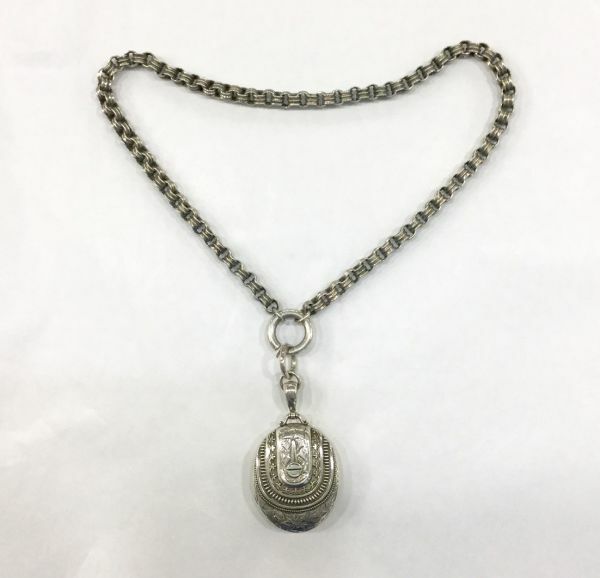 A English Sterling hallmarked Victorian Locket with handmade Belcher link chain. 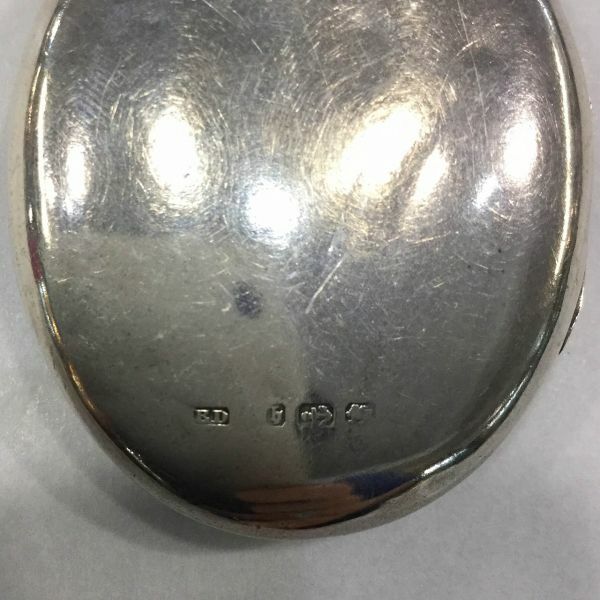 The oval locket has a repousse buckle motif and hand engraved front. 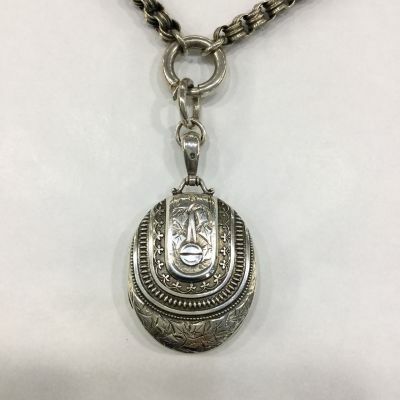 The locket is detachable and can be worn separately from chain.